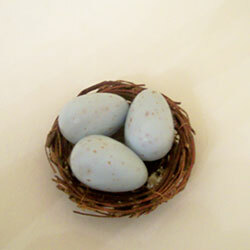 Three robins blue egg soaps rest in a 3 inch willow nest. 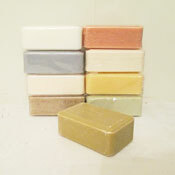 Each egg soap is a 1-oz. 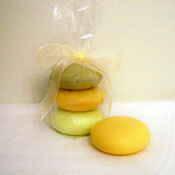 French-milled soap with extracts of chamomille and meadowsweet. Oatmeal and bran give the soaps their exfoliating speckles. 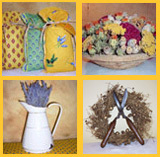 They smell devine.